The protagonist of The Caligula Effect comes to a shocking realization mere minutes after Aquria’s latest role-playing game begins. The world he had been part of was nothing more than fantasy; an illusion created by an out of control virtual diva named µ that just wanted to protect its listeners from the hardships of life. Some undoubtedly would be okay with living in such a world, as the idea of a fresh start certainly is tempting, but the protagonist is determined to find his way back to reality. Choosing to open with what could’ve been built into a memorable twist is an interesting narrative decision, but one that ultimately works in the game’s favor. 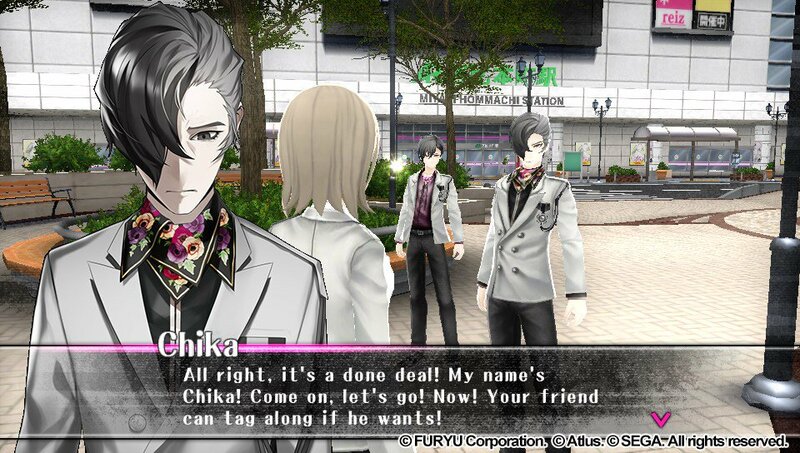 See, The Caligula Effect isn’t about unraveling a mystery, but rather forcing its characters (and in essence the player) to confront their insecurities head-on. Instead of being taken on a roller coaster ride filled with twists and turns, I got to observe a story about immense personal growth. It’s a refreshing take, and it was nice not having to deal with clichéd supervillains. Figuring out how to escape isn’t possible without some help, though, and that comes in the form of the Go-Home Club. This group is composed of like-minded students that realized that something was amiss within the world of Mobius. Like the protagonist, each member is trapped within the world due to their own perceived failings, and they need to settle their own emotions before they can face off against µ. Each member of the Go-Home Club may have some internal strife to deal with, but they also must fight off other citizens of Mobius that have been brainwashed by µ, and other musicians. This is where the game’s unique, time-based combat system comes into play. 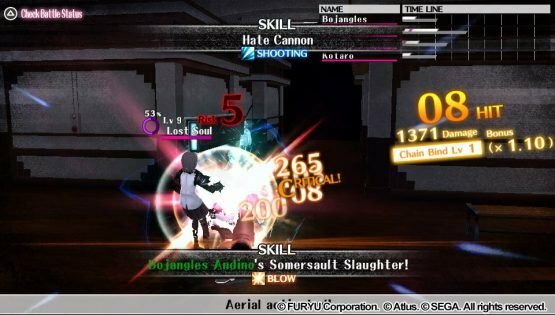 What really sets The Caligula Effect apart from other titles is that the player can plan every second of a battle. This is needed to ensure that character’s abilities overlap when they should. It’s a complicated system, but thankfully every maneuver can be previewed before the player commits to them. This ends up being a helpful way of showing each ability off without forcing the player to waste good turns trying things out. Thanks to this, I was commanding all four members of my party to attack in unison, and dishing out awesome combos that had one character launching my foe into the air, and then another character finishing the job with an aerial attack. The basics become second nature after a few hours, but there’s some further wrinkles to the combat that really make the system interesting. After enough battles, I had developed my own strategies, and became accustomed to having to use skills to both heal and regain energy. There’s a Beginner Mode if players don’t want to deal with these complexities, but I’m glad I got to engage with these mechanics. Once everything gels, there’s no better feeling than accurately timing out a killer combo that defeats multiple enemies in a single turn. While The Caligula Effect has plenty of interesting mechanics, it really shines due to its writing. Every single character in the game has huge flaws in their personality, or have undergone a tremendous amount of trauma that has left them looking for an escape. These topics aren’t merely touched upon during the game’s nine chapters, but are fully explored. A lot of the reasons why characters are in Mobius turn out to be rather dark. From a single mom struggling to adapt to the stresses of motherhood to a person dealing with survivor’s guilt after backing out from a suicide pact, no attempts are made to shy away from issues that most games wouldn’t touch with a 10-foot pole. Thankfully, these topics are handled incredibly well. As someone who struggles with similar problems to the ones that are addressed in-game, it felt surprisingly therapeutic to watch these characters come to grips with their issues. I may have come to love the story and its characters by the end of the game, but it wasn’t this way initially. Maybe it was due to the lack of English voice-acting, but I felt detached from a lot of the characters early on. It wasn’t until I did some of the main characters’ friendship events (like S-links from the Persona series) that I became fully invested, and after that I never doubted that getting back to the real world was the right thing to do. A lot about The Caligula Effect is truly great, but there are some areas that end up being disappointing. The dungeons start out being confusing and cumbersome, and they sadly stay that way from start to finish. There’s an attempt to justify the design in the story, but that doesn’t make constantly running into dead ends any more fun. The other issue is that the performance on PlayStation Vita leaves something to be desired. The frame-rate drops a noticeable amount whenever the player enters a new area (it’s otherwise acceptable), and load times are long enough that I grew annoyed with them very early on. Thankfully, these problems feel more like annoyances than a real hindrance to the overall experience. This can be contributed to the game’s length, as the story wraps up after about 20 hours of play. That feels downright breezy compared to other games in the genre, and it was nice to see a role-playing game that respected my time. If that doesn’t seem long enough, you’ll be glad to know that there is new game plus and post-game modes that allow the player to face off against tougher enemies, find new dungeons, and finish the side-quests they may have started. A lot of video games attempt to say something, but rarely do they manage to leave a genuine impact by the time the credits begin to roll. In just 20 hours, The Caligula Effect tells an uplifting story that revolves around inner strength and coming face to face with one’s shortcomings. It may suffer from some annoying load times and a frame-rate that occasionally makes characters look as if they were wading through water, but that doesn’t take away from the touching story that Tadashi Satomi has come up with. Vita owners would do well to play Aquria’s best game to date, and remember that life is always worth the struggles. Review code for The Caligula Effect provided by the publisher. Reviewed on PlayStation Vita. For more information on scoring, please read our Review Policy here.